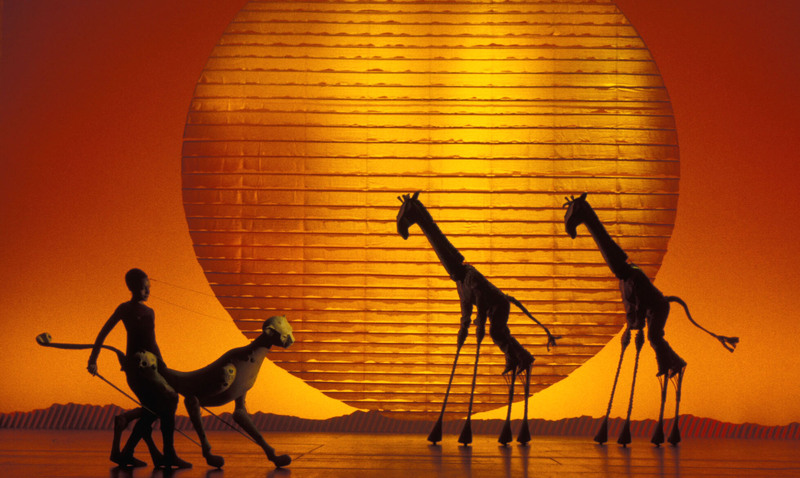 One of the biggest theatrical events to hit Scotland in a long time opens on 12th October at the Edinburgh Playhouse, when Walt Disney’s The Lion King starts a lengthy run. Walt Disney Musical Productions are renowned for being the best of the best, and for getting things absolutely right, so it came as no surprise that the marketing of the show has already gone into overdrive. They held a Press launch backstage at the Playhouse fully 9 months before the show opens, featuring 3 of the stars of the West End production (I understand the male lead in London will fulfil the same role here) in full costume and bringing in an 18 piece local gospel choir to back them on 3 songs from the show. We were addressed by Disney’s European Marketing Director who explained how the Lion King was transformed from screen to stage. Along with video appearances by Director and Costume, Mask and Puppet Designer Julie Taymor giving insight into how the seemingly impossible task of recreating African landscapes, complete with animals, became a working, believable reality, it was a very well put together launch. Altogether an entertaining and very colourful hour that left you just wanting to see the whole thing. While the appropriate adjectives might be “colourful” and “spectacular”, they don’t really do justice to the production. The imagination, skill and technical expertise that has gone in to it brings the movie to life in breathtaking fashion. Yes, Disney know how to do it of that there is no question. And here they have produced a show that promises to eclipse anything else you see this year. Just a shame we have to wait until October to see it.